"PDA designed the logo for my Magnum product. Magnum is now in the largest industry catalog in the world. Orders are being filled internationally!" 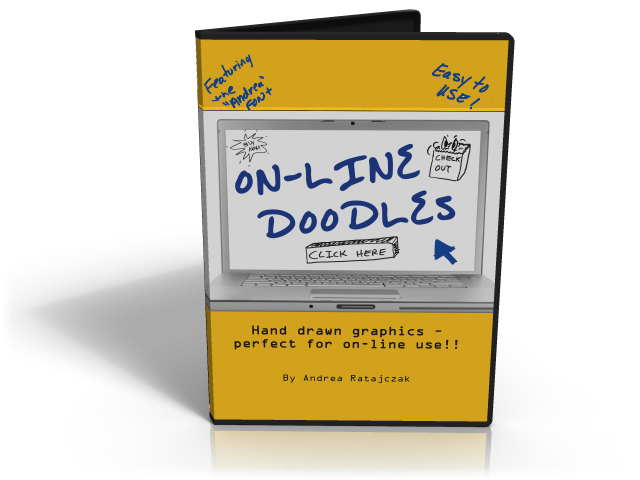 Now you can enhance any website or online store with hand-drawn graphics! From "Buy Now" to "Click Here" buttons, this doodle set has everything your web designer needs to transform your website into a selling machine. We've Got it! 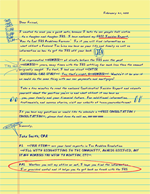 PDA is now offering yellow lined paper so you can print your own sales letters. This paper is thick enough to go through your printer, and believable enough to look like it didn't. Minimum Quantity: 1 Ream (250 sheets). 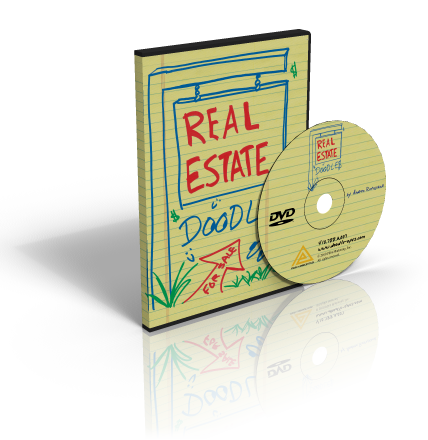 Real Estate Doodles have been helping companies capture the attention potential customers, retain existing customers, and energize their marketing techniques. These handwritten Real Estate Doodles are sure to attract a favorable response on your sales letters, direct mail, and informational pieces. 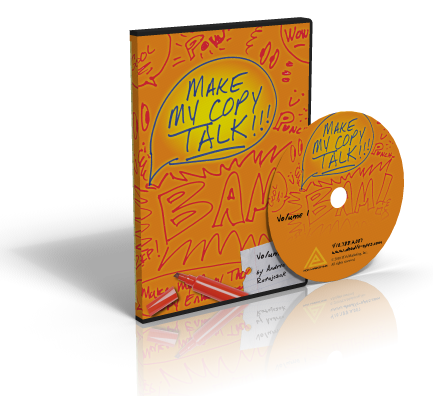 How Can I Make My Copy Talk?! Remember when we were kids and were just learning to process all those words on the page. The words and pictures actually reached out to you. The world was new and exciting as sounds melded with words and we began to READ. At the grass roots level of reading we understood " BAM," " POW," or " tick tick tick". Now as adults this age-old tool speaks to us in a very special way. When your reader reads these graphically enhanced word-sounds, they can hear the word in their head and have a double sensory impact and more. Here's how you can get your direct mail piece opened first. Guaranteed. When writing copy for direct mail you have to always ask yourself will it get noticed in order to get opened and read. 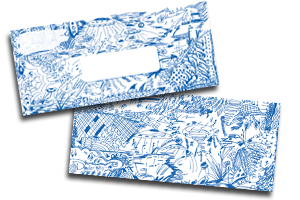 Doodleopes envelopes will get the direct mail piece opened every single time simply due to its outrageousness and individuality. 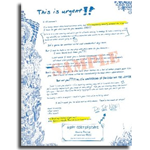 Let us add our Accent Doodles, Certificate Doodles and Andrea font to your sales letter and see how your audience responds! Cost effective to send and totally unique. 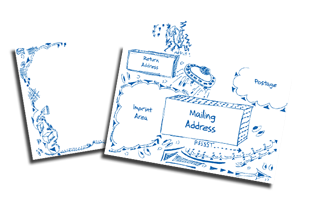 Available in 51/2 by 8 1/2 and 4 1/4 x 5 1/2, this fully doodled card will grab the attention of your audience and hold it long enough to get your message across. By using the postcard design you can print as many as you need and just drop in the text. The Done 4U Doodle-opes yellow lined paper in legal or letter is a natural go along to your Mega Doodle tools. The yellow lined paper look can be used just like a background image and once again print only as many as you need to save on costs. Doodle-opes School rule-look is complete with three holes. This white paper with blue lines looks like it came right out of your kid's notebook complete with doodles all around it. Customize your copy right on this image. Now you can get custom Doodle-opes industry specific doodles...from Real Estate, Chiropractic, Mortgage, and more we can create a customized doodles.